Bulk Bags and Beer? They're Closer than you Might Think! “Beer is proof that God loves us and wants us to be happy” – Benjamin Franklin. An absolutely fantastic quote that was actually never uttered by Mr. Franklin… He did write a letter to a “colleague” in France in which he wrote, “Behold the rain which descends from heaven upon our vineyards, and which incorporates itself with the grapes to be changed into wine; a constant proof that God loves us, and loves to see us happy.” Pretty close, and I have seen that beer quote on many a mirco-brew tee… So let’s just go with it, okay? Beer and other malted beverages came into the world by accident: A very lovely accident, but an accident none-the-less. Historical records and scientific analysis of ancient pottery tells us that people were brewing delicious beverages thousands and thousands of years ago. In ancient Iran, China, Egypt, and pretty much anywhere else early civilizations were taking off, you would find brewing taking shape in one form or another. What did all these places in different parts of the ancient world have in common? 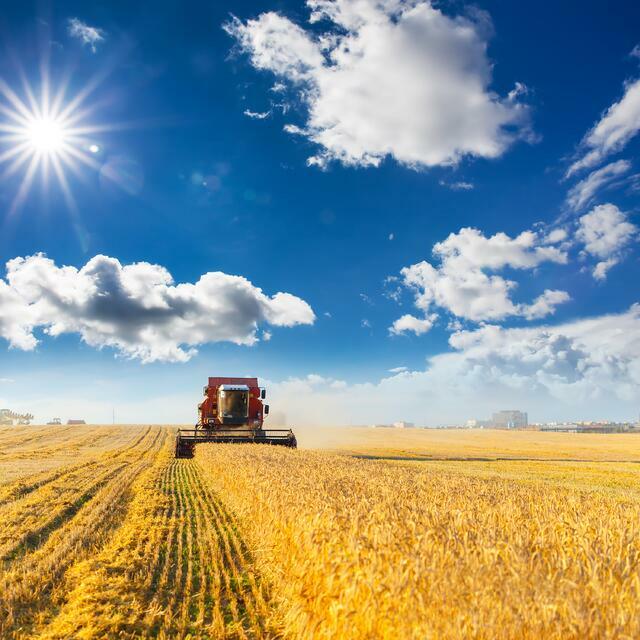 Farming. In order for any society to grow and prosper, a steady supply of food was an absolute must. By domesticating animals and cereal crops, we were able to put down roots and build new civilizations. It was this regular harvesting of ancient cereal grains that spontaneously and mistakenly led us towards our beer filled future. Pretty much any cereal grain that contains sugars is fermentable. As these farming pioneers began to collect and store grains, something pretty magical happened. Spontaneous fermentation of cereal grains is possible due to the natural wild yeasts that float in the air. You can imagine these early growers wondering just what the heck was going on! This lovely pile of life-sustaining grain was suddenly stricken with rot in some places. When exactly somebody took a handful of this allegedly spoiled cereal and figured out you could brew a tasty alcoholic treat with it is anybody’s guess. However, I am quite happy that somebody did. The forefathers of fermentation laid the ground-work of the brewing process in their pottery vessels. Today’s brewing techniques are far more sanitary than ancient times, but the process hasn’t changed much at all. Take grain that has been cleaned, soak it, germinate it, and dry it. Let’s take a closer look at these three critical steps that turns grain into malt. It should be noted that every Maltster will have different techniques and preferences during the malting process. After all, brewers call malt “the soul of the beer.” Tiny changes in timing, air-flow, temperature, germination, drying, and roasting will result in different malts: Hence the incredibly diverse selections available to beer aficionados today. Steeping is the process of adding water to the grain to crank up the moisture content. Typically the grain that was prepped to steep will have around 12% moisture content. Steeping the grains will increase that number to around 40%, a very wet environment to be sure. Timing of the steep varies and some brewers will do a multi-stage steep with the grains soaked then removed from the water two or three times. Essentially what this stage does is fool the grain into thinking it’s underground and ready to grow. This process actually starts when the grains are submerged in water. Nature tells these little grains to grow or sprout, and that’s exactly what you want in the malting process. This sprouting releases the required enzymes that break down the starch in the grain. The length of the germination process depends on the desired traits of the malt. This is the final step in the malting process and it’s used to stop the germination process. Kilning will remove the moisture from the grains and keep the enzymes in good working order for brewing. The final moisture levels in will be around 5%, about half of the original grains moisture content. Now this is a very rudimentary recalling of the malting process, and I’m sure some Maltsters out there will be correcting me. Regardless, now comes the most exciting part of the malting process for me and my fellow pack-oholics: Shipping and storage. Got Malt? You got Bags! Now the reason I wanted to highlight the malting process in one of our fun and informative blogs is the simple fact that the malting industry is a large consumer of bulk packaging. PP woven bags and polypropylene bulk bags are standard issue when shipping finished product. You can’t scroll past a malting business’s Instagram page or Twitter account without seeing some bulk packaging in action. From 25 kg PP woven bags to the 1,000 kg bulk bags we love so much, polypropylene bulk packaging is the ideal bridge between custom malters and custom brewers. In addition to the recyclable plastic options, I have seen some really nice MWP (Multi-Wall Paper) bags as well. Considering that polypropylene and paper are both 100% recyclable, either choice is perfect to get your name out there into the world when you ship your one-of-a-kind malted product. Speaking of “getting your name out there”, it has never been easier to get bulk packaging branded with the same unique marketing concepts you have created for your business. Your business is a unique enterprise and your finished product should be a reflection of that. From a simple and clean B&W printed bag to full process colour imagery, the only limit is your imagination. Sure the printed bags cost a nickel or two more than a plain bag, but if you’re shipping out hundreds of bags a day, what better way to let everybody know just who made this tasty beer base? Aside from supplying the local Brewsters, Canada exports a tonne of malt to other countries as well. And by a tonne, I really mean about 450,000 tonnes! 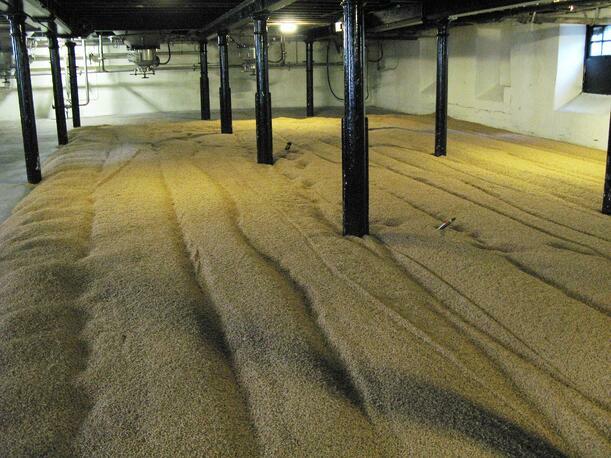 Our annual malt capacity is approximately 900,000 tonnes every single year and about half gets exported. Who’s our #1 customer? The US of A. I’m not sure how they ruin it once it crosses the border, but I’m glad they are a great customer of this fine Canadian export. Just kidding, I have definitely had some very tasty American beers! If you are in the malting and brewing business, why don’t you have a look at getting your bags supplied by a company that is into brewing as much as you are. May Saint Gambrinus smile upon you and your brew!